Our Poinsettias turned out wonderful this year. The color and size were outstanding. 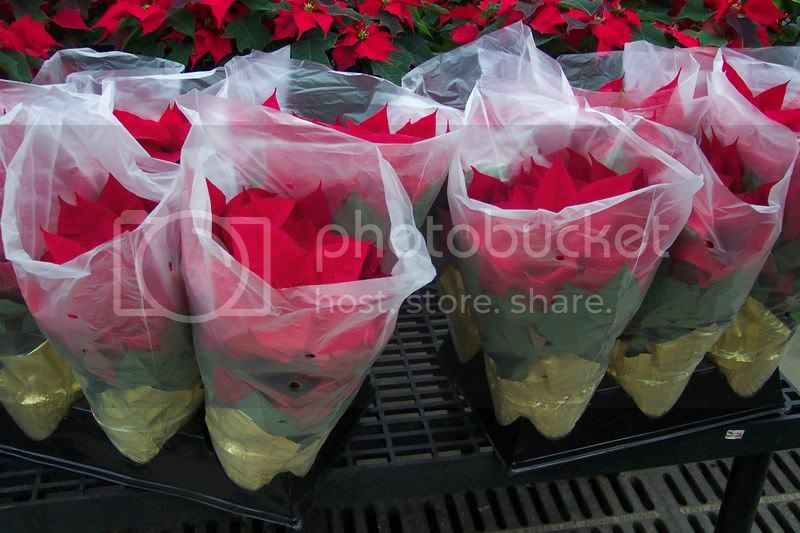 We grew about 250 poinsettias of various colors: marble-pink, burgundy, white, and of course, red. We started giving them out about mid-December and sent the last ones out on the 23rd. To keep your poinsettia going for as long as possible, you need to follow just a few simple guidelines. 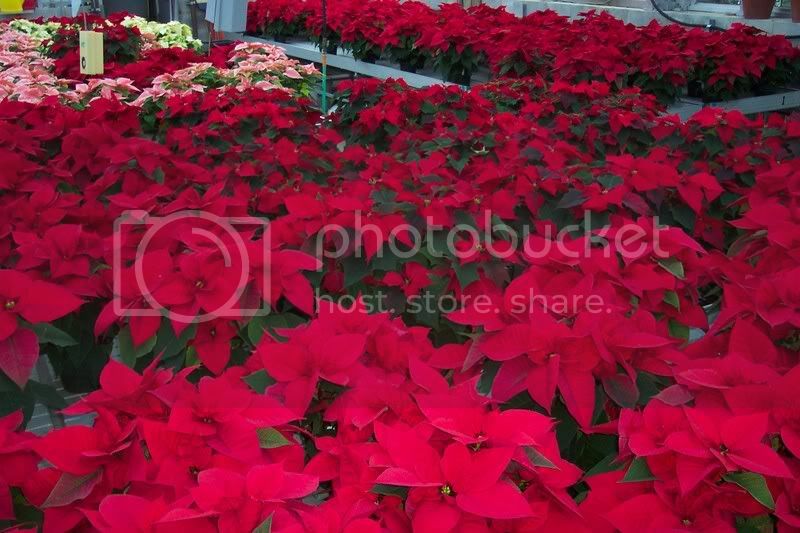 To begin with, keep in mind that most poinsettias die from over-watering. Your home probably has different growing conditions than the greenhouse from which it came, so your plant will be less actively growing and therefore need less water. Let the surface of the soil dry out some before watering. Then water the plant thoroughly until water flows out of the bottom of the pot. Any water remaining in the foil wrapper has to be emptied out otherwise the roots will become water-logged and eventually die off. With fewer roots the plant will not be able to sustain itself and will prematurely die. That is the main reason why many people cannot keep their Poinsettia alive more that a couple of weeks. If possible, chose a spot that has bright light but not direct sunlight. 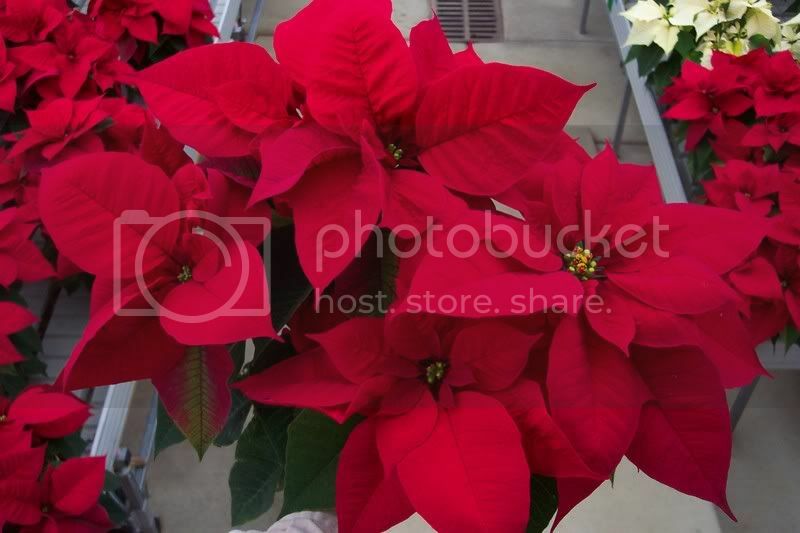 Keep your Poinsettia away from cold drafts or from heat vents that may blow hot air directly on the plant. Don’t worry about fertilizer for your plant, it won’t really need much until spring. A half-strength dose of water soluble fertilizer once in a while should be adequate. Also, keep in mind that poinsettias weren’t meant to last too much longer than the Christmas season. They were bred for color and not for hardiness as a house plant. By following these tips you should be able to enjoy your poinsettia as a reminder of wonderful Christmas memories for many weeks to come.